Jess Walter is the author of four novels – THE ZERO a September 2006 BookSense pick, CITIZEN VINCE, a 2005 Washington Post Best Book of the Year and winner of the Edgar Award for best novel, LAND OF THE BLIND, a March 2003 Booksense selection, and OVER TUMBLED GRAVES, a 2001 New York Times notable book – as well as the nonfiction book EVERY KNEE SHALL BOW (rereleased as RUBY RIDGE), a finalist for the PEN Center West literary nonfiction award in 1996. 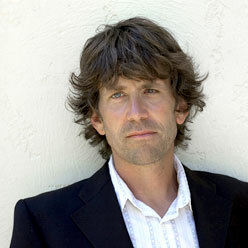 A career journalist, Walter also writes short stories, essays and screenplays. He was the co-author of Christopher Darden’s 1996 bestseller In Contempt. His work has Newsweek, the Washington Post and the Boston Globe. His work been published in fifteen countries and thirteen languages. He lives with his wife Anne and children, Brooklyn, Ava and Alec in Spokane, Washington.